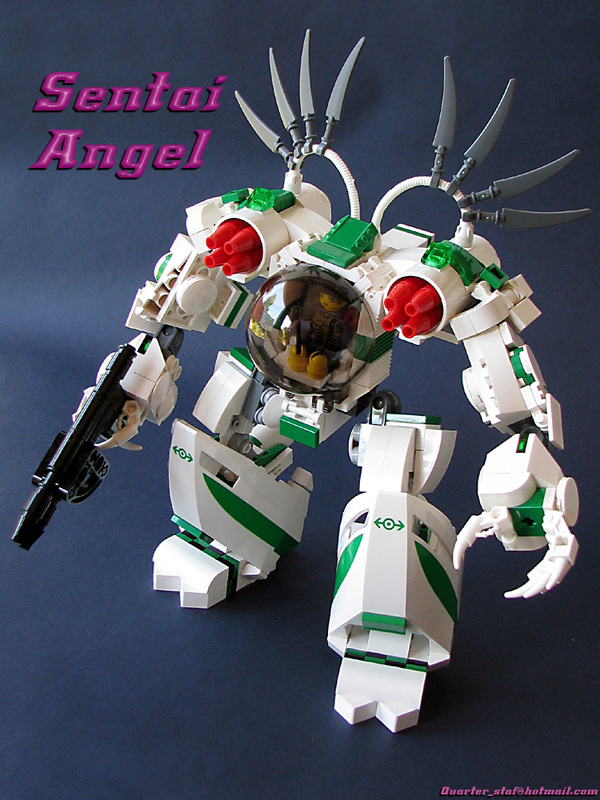 Mark Stafford‘s Sentai Angel is by far from a delicate mecha. It looks like this raging robo can dish out some serious damage. The most interesting bit of this creation is unarguably the use of train heads on the legs! Who’d have thought? I’m glad to see Exo-Force still hanging around even after ending the series. This one looks great, especially the white/green combo. It’s “by far from a delicate”? It REALLY makes me want to take a crack at building one. WHAT! HOW! HOW DID YOU DO THIS! ?